Privateer was founded on 5th July 2005. 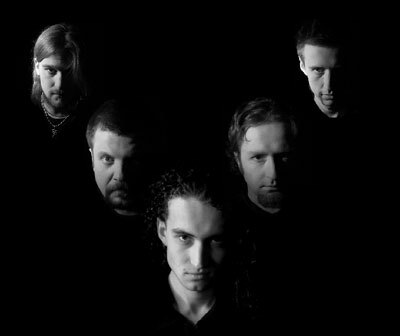 The original line-up included Andrzej "Skorgan" Pichlinski (bass, backing vocals), Tomasz "Hannibal" Bator (guitars), Wojtek Sypek (drums). The band started from covering the songs of bands such as Nightwish (Wishmaster) or Helloween (Future World). They did so for their own pleasure, curious to see, if it is possible to play such music in Poland, if there are people to play with and to play for. PRIVATEER plays fast, technical and climatic metal. The band's style is reminiscent of that of power - melodic metal style. It's hard not to put on a label in the modern world of labels :) But we are searching all the time for own style and sound character. In opinion of many listeners we have it! Privateer conquered and totally dominated Cracow Rock Festiwal on 02/18/2006 After this victory, our black ship arrived to Warsaw. At Progresja Club cannons of Privateer shook the ground! In February 2006 Privateer played on Winter Tour Festival with Archeon and Sorcerer and joined to the Absibthia Management www.absinthia.org . On 07/02/2006 the band, played on Rynek Glowny in Cracow as a first metal band in history!! In the warm days of June 2006 Privateer recorded a personal material in Diamond Records studio. 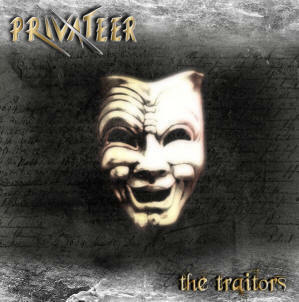 Its a first LP of Privateer - "The Traitors". On 04/11/2006 we won the biggest festival in Poland and defeated 142 polish bands - in battle at Rock Mayday Festival in Glogow. Power Metal was crushed over others styles. That was our great victory for metal! Still now we are preparing to promo concerts, and mini tour on Slovakia with Witchking.